Why a book of stories and not a novel? Jim Shepard, winner of the Rea Award for the Short Story, a Guggenheim, and many other honors, likes to joke that he writes short fiction “for the money.” The reality is it is infinitely harder to publish a collection than a novel, because collections don’t sell as well. This has always struck me as odd, because I’ve talked to a ton of readers who live and breathe short stories. But given the economics of short fiction, does that mean the short story is a lesser art? There are certainly professors and authors who view stories as “practice” before the writer settles down to create what truly matters in literature: the novel. To me, it makes absolutely no sense to pit short and long fiction in competition against one another. Both forms are art. I love the way I can hold a story in my head, relishing all its details right up to the ending. I also love immersing myself in the vast world of a novel, though I often have to reorient myself when I pick up the book to read on. Short stories have been made into more award-winning movies than most people realize, including Brokeback Mountain (Annie Proulx), The Birds (Daphne du Maurier), Breakfast at Tiffany’s (Truman Capote), and a whole host of others. The world needs short and long fiction. In terms of my own writing, here again, I’d have to say the short story chose me, rather than me it. A while back, I got introduced to the magic of Alice Munro, then the bounty of Best American Short Stories. I started faithfully reading stories everywhere I could find them. At some point, I thought, why the hell not—why not try my hand at writing short fiction? After a decade of work—many say writing a collection of short stories is just as hard as a novel—World Gone Missing is now out in the world. It’s quite a feeling. How did you come up with all the beginnings and endings, as well as a wide variety of characters, that a short story collection requires? One of the toughest things about writing short stories is that every word counts, often working not just double, but triple duty! You have to immediately immerse the reader in the world of the story, carry them with you as the tension mounts, and land the piece at just the right moment. For me, beginnings aren’t usually hard. I’d see in my mind’s eye a woman standing outside a bar (like Lyn in “Just Go”), a homeless man picking through a recycling bin (as in “Hateman”), a stranger posing a question to another stranger in a Safeway line (“Like Family”), and I’d be off and running. But halfway through a story, I sometimes stall. What is really at the heart of this story? Where did my initial enthusiasm go? I have to go back and figure out where I digressed. Another challenge is: How can I go deeper? How can I respect these characters and tell their truths? Endings are usually the hardest of all. My aim is always to find some (but never total) closure to the action at hand, while still giving the reader a sense of what lies ahead. There were stories where I wrote thirty plus endings! Writing World Gone Missing, revision became my best friend. And I don’t expect that to change. What’s also cool about short stories is that that they can lead not only to movies, but to novels. For example, Kaui Hemming turned her story, “The Minor Wars,” into the amazing novel The Descendants, which became an Academy Award-winning movie. So while I had to invent a lot of beginnings and endings and characters to create World Gone Missing, I have also laid the groundwork for more books to come. All the stories in World Gone Missing are based in and around San Francisco, which unifies the book. What made you choose the Bay Area? Though I lived many years on the East Coast, I’m a second generation Californian. In the late 1980s, I made my way back to my home state for good. I moved here for the opposite reason than most people do: not to escape family, but to get closer to my parents, siblings, and the extended Doyle clan. My maternal grandparents’ families immigrated from Italy and Switzerland to Healdsburg, California in the 1880s to become vintners. My mother and grandmother lived in San Francisco during the 1920s. Though my grandmother later moved to the East Bay so my mother could attend UC Berkeley (where my parents later met), she loved taking us grandkids to San Francisco. When I started writing World Gone Missing, memories of those San Francisco visits kept coming into my mind—the historic carousel in Golden Gate Park, blue Mount Tamalpais on the horizon, the bustle of Union Square. I incorporated many of these details in the stories. No, “incorporated” is the wrong word. These images opened doors to the world of many of the stories in World Gone Missing, leading me to create the characters (and to some extent plot), rather than visa versa. Basing all the stories in the San Francisco Bay Area was the easiest decision I made in writing this book. I understand you teach writing at UC Berkeley Extension, as well as the San Francisco Writers Grotto, where you have a writing office. How does teaching affect your writing? Teaching writing has given me many gifts. Maybe that sounds corny, but it’s true. Teaching requires that I make a deep study of masterful writing. In fact, the first writing class I taught was “Learning From the Masters: Techniques of the Literary Greats.” Of course, I had studied renowned authors in grad school, but now I had to go deeper. To prepare for the class, I examined how Hemingway constructed his dialogue so it sounds real, how Baldwin used imagery to create underlying meaning, what Grace Paley did to make us laugh. In identifying specific techniques and articulating for students what they accomplish, I have learned a tremendous amount. Ten years later, I’m still teaching the “Learning From the Masters” course and it continues to feel fresh. I also find the dedication and inventiveness of my students inspiring. I’ve taught many talented student-writers over the years, from twenty-somethings to eighty-somethings. Their precise language, unique voice, and original plots amaze me. The way students solve common writing challenges—for example, how to immediately plunge the reader into the story, or use suspense—often gets me thinking in new ways. After class, though I’m usually pretty tired, I find myself scribbling down my own ideas to expand on the next morning. So what’s up next for you, writing-wise? I’ve started several flash fiction pieces that I’m excited to finish up after the World Gone Missing book tour is over. I’ve also begun a novel, which takes place (of course) in Northern California. Though I don’t want to give too much away, it continues my emphasis on characters who are missing from the present action, as well as illuminating the intimate connections between people and place, whether they be a shadowy forest, an immense lake, or simply a specific stretch of patched sidewalk. Details of the physical story world always pull me forward. LAURIE ANN DOYLE‘s new collection of stories, World Gone Missing (Regal House Publishing), has been named a top book pick by the East Bay Express and praised by New York Times bestselling author Edan Lepucki for delivering “astute portrayals of people who desire connection, hope, and renewal.” Winner of the Alligator Juniper National Fiction Award and a Pushcart Prize nominee, Doyle’s stories and essays have appeared in the Los Angeles Review, Jabberwock Review, and Under the Sun, among many other journals. 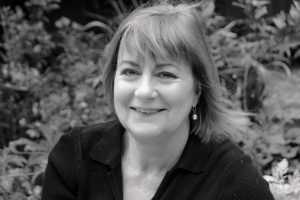 Her work has been anthologized in The Livingston Press Fiction Anthology (University of W. Alabama), Road Story (KY Press), and Speak and Speak Again (Pact Press). Doyle teaches creative writing at the San Francisco Writers Grotto and UC Berkeley. You can find her online at www.laurieanndoyle.com.